Timeline of Events – Key Milestones and Challenges! We just finish our term 3 exams and are in the holiday mood, getting excited about the summer internship projects, and to my surprise, 3 days before my internship, I received a mail from the Director providing details on the exact project title, the buddy, a conference call scheduled on Day 1 with the entire team. Challenge: Time to make the first impression the best one! Tip: His mail was in response to a mail I had sent asking for the project details and any pre-read required. All companies take internships very seriously and exploring and contacting your mentor before mentorship shows your interest levels and sets mutual expectations right. Business formals in Chennai’s soaring temperature added to the nervousness and anxiety levels. But luckily we had to report at 9 AM, at Hyatt (Oh Yes, this was for real) for the day long induction. The HR managers eased our impatient nerves with awesome ice-breaking sessions. Once into the groove, we had the opportunity to shoot rapid fire questions to the senior leaders from CBC who were all set on the hot seat. They shared insights on HR policies, service offerings, upcoming trends and growth prospects of CBC. The most crucial role was that of the HR managers who were responsible to integrate all the activities through the internship. The day ended with a photo-shoot, goodies and confident faces. Tip: Read well about the organization’s core values, offerings, market position, and recent updates. Participating in the discussion with senior leaders with sensible, focused questions can create a positive impact. Client X, a serial acquirer was burdened with unstructured, inefficient and non-standardized integration processes. The business challenge was to streamline the integration and establish standard repeatable processes for legacy and future M&A activities at Client X. Created highly targeted repeatable M&A playbook, worked with the leading internal M&A teams to solidify the project governance and streamline the integration process. An M&A playbook is a set of strategies that brings together all the activities that an M&A integration team, all relevant business functions and the target firm need to perform across the deal life-cycle. 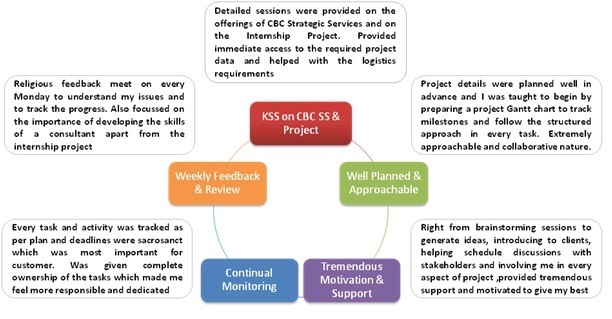 This involved creating project Gantt charts, identifying and scheduling discussions with business functions heads at Client X, creating reusable RACI (Responsibility, Accountability, Consulted, Informed) Matrix template for every business process and analyzing the RACI across business functions to streamline the processes. I could complete the M&A playbook project in an earlier than planned time frame of 6 weeks, and grabbed the opportunity to work on another exciting piece of work, developing an assessment framework to capture the inefficiencies in integration, and streamline them. This was more of a challenge than a task because it was an additional responsibility and work had to be started from scratch. After brainstorming and intense discussions with mentors, I came up with a framework that identified “People, Process and Product” as critical pillars for a PMI. Studied the as-is state of the PMI process, prepared a set of intelligent and focused questions with very objective answers to understand the gaps in the current system and recommendations to achieve the target state. Challenge: The biggest challenge was to schedule discussions with business unit heads at Client X. Few calls happened late in the night and managing to get even 30 mins of their time was a difficult task. Also convincing how this activity will create positive impact on their business was challenging. Customer centricity was of highest importance and was made to realize that “deadlines are sacrosanct” on missing an internal deadline by 2 hours due to connectivity issues. Tip: Play the role of a real time consultant keeping a structured approach and prioritizing activities. Any chances of slight delay have to be highlighted well in advance because for clients, “Time is money”. Be proactive and initiate weekly feedback and review with mentors on project progress. Keep updating mentors on daily tasks and a mid review is a must to improve performance and understand expectations. This was the climax of the internship. I was evaluated by a senior director from a completely different practice to make the evaluation fair and unbiased. The two month work had to be compiled to one presentation which carries a significant weight. During the evaluation, the stress was on, my contribution and how will that impact business in the big picture. Key learning and takeaway were more important than the actual outcome from the project, and more important was the ability to justify your approach towards the solution, rather than the solution. Challenge: To structure your two month effort into a brilliant presentation, ability to justify approach applied and skills to answer the “big picture” questions. Tip: My mentors guided me to develop a structured thinking for activity performed. An ideal internship presentation can be structured as, a) Executive Summary b) Agenda c) Project Overview (Context Setting, Client Details), Business Challenge (Problem Statement, Key Objective, Scope, Client Impact), Solution and Methodology (Approach, Analysis, Tasks, Deliverable, Status), Recommendations, Key Learning. The above figure depicts the entire mentorship process. To put in a nutshell, I was given complete ownership of my deliverable, access to senior clients, freedom to plan and schedule client discussions and brainstorm to come up with efficient processes. All this made me more accountable, customer centric and helped me network better. The Transformation – Key Learning! When I joined CBC, just like any other intern, I had the several questions on my mind. So I set objectives for self-focus and performance measurement. – To be able to devise a strategy for any given business situation, by adopting a structured approach and applying the consulting skills developed during the internship. Through the 8 weeks transformation period, I could successfully convert every opportunity to a value add. We Work Hard and Party Harder! This exactly is the mantra at CBC where month end stress busters were as important as client deliverable. 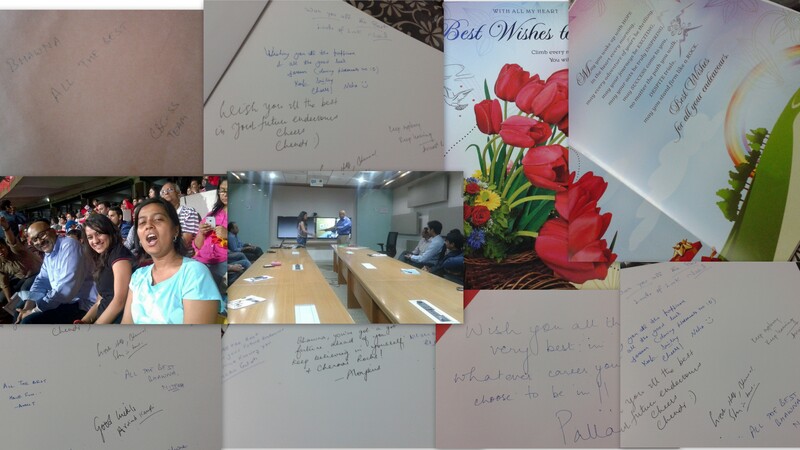 Three such rocking parties, a chance to watch the IPL match live (which made all the other interns “whoaaaaaa”), a fun filled farewell party, a king-sized best wishes card… what more could an intern ask for. The best moments were when, your AVP remarks you as “ever enthusiastic and eager to learn”, Director says, “She was very serious and dedicated and when the mentor says, “Her deliverable is already being used by the client, and they are happy”. These words marked the victory of my internship. 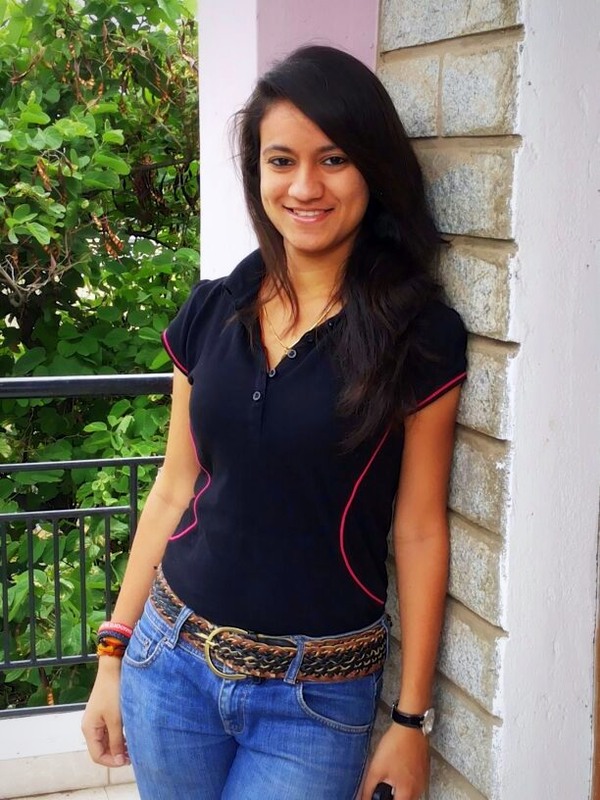 It was a brilliant experience, with small milestones of achievements, appreciations and constructive criticism which sure transformed me, “Yes, Bhawna…You nailed it”.